Why speaking Dutch can be really hard…. if your partner is Dutch! Is learning Dutch really that difficult? This year can bring fluent Dutch! If it does not sound like Dutch, then don’t worry! Does Dutch have any rules? Does full language immersion really work? Oh no! Not the weather again! Oops! Is Dutch too subtle for you? Sorry, no Dutch no job. It sounds reasonable, but is it true? 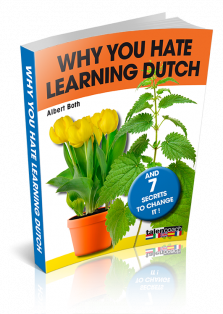 If learning Dutch is hard, you are doing it wrong! Stop thinking in levels if you want to learn Dutch fast!